University Properties. The town of Princeton’s affordable housing plan is heavily reliant on development of several sites owned by Princeton University. These sites include the Lower Alexander Street area, near Princeton Rail Station, and the ‘Butler Tract’, on South Harrison Street. But does Princeton University want to build on these sites right now? The evidence suggests that the answer is ‘no’. According to reporting in the ‘Princeton Packet’, the University has no intention to start building on these sites in the relevant timeframe (i.e. before 2025). If so, the town will potentially be hundreds of units short of its affordable housing requirement – a risk that the judge will have to weigh when deciding whether to approve the town’s housing plan. The “S-2 site”. Hardly anybody in Princeton knows what the “S-2 site” is, but it has been a major feature of the town’s affordable housing plans for years. As we reported in 2015, the town envisages rezoning an area at the north end of Mt Lucas Road for mixed-use development, which would potentially allow the creation of up to 30 new affordable homes. But this plan assumes that developers will want to build substantial amounts of housing on a scattered bunch of lots, many of which are already occupied by existing uses. This seems very optimistic, especially since zero units of affordable housing have been built in this area since the town originally proposed it as a site for new housing 3 10 years ago. Accessory Apartments. The town of Princeton is proposing that 10 affordable ‘accessory apartments’ will be built by 2025. Accessory apartments, sometimes known as ‘granny flats’ are self-contained units that are built on an existing property. For example, somebody can build a small apartment above their garage and rent it out, and that would be an ‘accessory apartment’. But there is no history of this kind of unit being built as designated affordable housing in Princeton. The judge would be entitled to ask how low-income households will be guaranteed access to accessory apartments built in Princeton in future, especially because these units are typically built by private parties, not the town itself. Is this a realistic way to create new affordable housing? Franklin Ave – Maple Housing. The town wants to construct 60 units of affordable housing at this site, which will count toward its requirement to add at least 753 new affordable homes. But this site is already occupied by affordable housing! 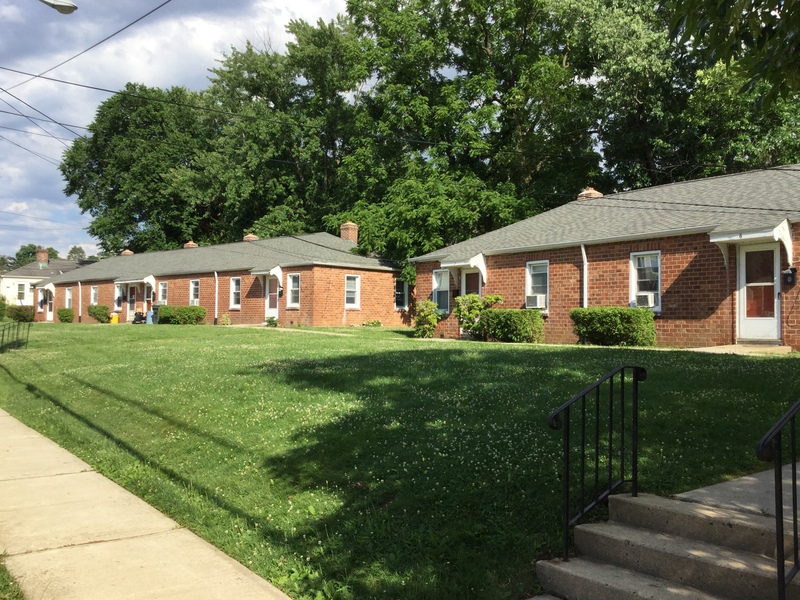 The Franklin Terrace and Maple Terrace projects were constructed in the 1930s and 1940s, and count as some of the town’s oldest affordable dwellings. These properties would be razed to construct new affordable homes. The judge could reasonably ask if knocking down existing affordable homes to build new affordable homes fits with the spirit of providing the town’s “fair share” of state affordable housing. It is pretty disappointing that one of the only ways the town can find to build new affordable housing is by knocking down existing low-income housing. The unfulfilled pre-1999 requirement. The Mayor and Princeton Council members have been careful to say that the court is requiring us build 753 units of affordable housing to cover the period of 1999-2025. What has gone unsaid is that Princeton has an unfulfilled obligation to build housing that dates from before 1999. So far, the town has proposed absolutely no way to meet this obligation. Does Council think that they can argue their way out of this requirement in court? Why have no sites been identified that could potentially meet this long-standing requirement? The canceled settlement agreement. Although some doubts exist about the town of Princeton’s ability to deliver on its affordable housing promises, local officials may try to claim that the town has always been a ‘good actor’ on housing. Unfortunately, recent history proves otherwise. In 2017, the town of Princeton reached a preliminary agreement to end litigation on its affordable housing requirement by promising to build 888 new affordable homes. But the town subsequently walked away from the proposed deal, with unsubstantiated reports suggesting that local officials could not find appropriate sites where they could realistically put the housing. If the town couldn’t find realistic sites last year, are the sites that officials are proposing now ‘realistic’? Or are they ‘speculative’? Ultimately, it will be up to the Judge to decide whether the town of Princeton’s housing plan is realistic or not. But if the judge finds that the town’s plan is not realistic, the consequences could be severe. The town could lose the right to enforce zoning, meaning that developers could build whatever they want, ignoring local land use regulations. This is a high-stakes hearing, and local officials will be keeping their fingers crossed that their housing plan passes muster. * Update 7.19.18: The compliance hearing originally scheduled with Judge Jacobson for 7.24.18 has been postponed. It will now presumably take place at a later date this year, although no date has been set. This post was also corrected to show that housing on the S-2 site in Princeton has been proposed for at least 10 years, and not 3 years as originally stated here. This entry was posted in Affordability, planning, Princeton, Real estate and tagged Affordable housing, mount laurel, planning, Princeton. Bookmark the permalink.